Browse: Home / Nosqlmap v-0.5 Released : Automated NoSQL Database Pwnage. – Web app attacks-Added $gt no value attack for PHP/ExpressJS applications. Thanks go to Petko D. Petkov for this one! – Web app attacks-Corrected labeling to reflect associative array attacks affecting both PHP and ExpressJS. – General-Phase III of code cleanup project; each NoSQL platform is now a free standing Python module that can be imported into other code. – Scanner-Added support for CouchDB scanning and version recording. – Net attacks-Added support for CouchDB network level and access attacks including database replication and password cracking. – General-Added “Change Platform” to Main Menu to toggle between NoSQL platforms and automatically set the correct options. NoSQLMap is an open source Python tool designed to audit for as well as automate injection attacks and exploit default configuration weaknesses in NoSQL databases, as well as web applications using NoSQL in order to disclose data from the database. It is named as a tribute to Bernardo Damele and Miroslav’s Stampar’s popular SQL injection tool SQLmap, and its concepts are based on and extensions of Ming Chow’s excellent presentation at Defcon 21, “Abusing NoSQL Databases”. 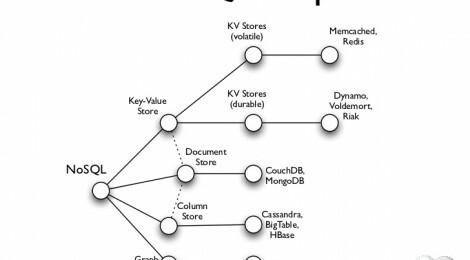 Presently the tool’s exploits are focused around MongoDB, but additional support for other NoSQL based platforms such as CouchDB, Redis, and Cassandra are planned in future releases. The current project goals are to provide a penetration testing tool to simplify attacks on MongoDB servers and web applications as well as proof of concept attacks to debunk the premise that NoSQL applications are impervious to SQL injection. NOTE FROM US : RESPECT THE CODER/DEVELOPER, DON’T BE a PLAGIARIZED CODE. ← powershell: post-exploitation – DomainEnum module v.0.0.6 released.